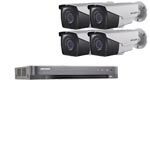 This is a 4 Camera cctv system capable of recording 1080P High Definition images at 12.5fps (non real-time) per camera. 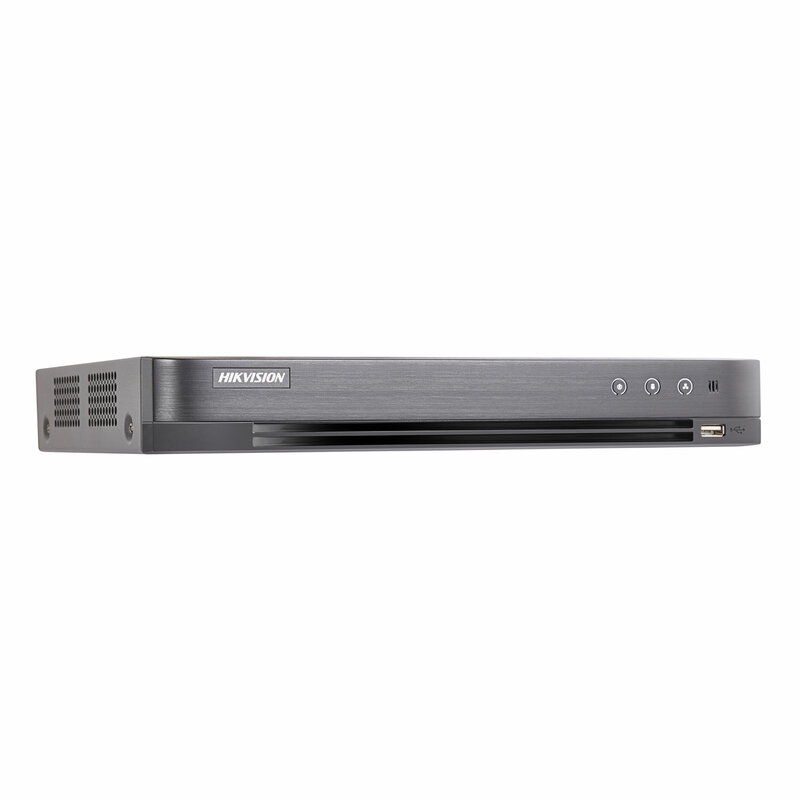 Hikvision, the world’s leading supplier of innovative video surveillance products and solutions, brings Darkfighter technology to its Turbo HD 4.0 series, with the new 2MP D8T series camera. 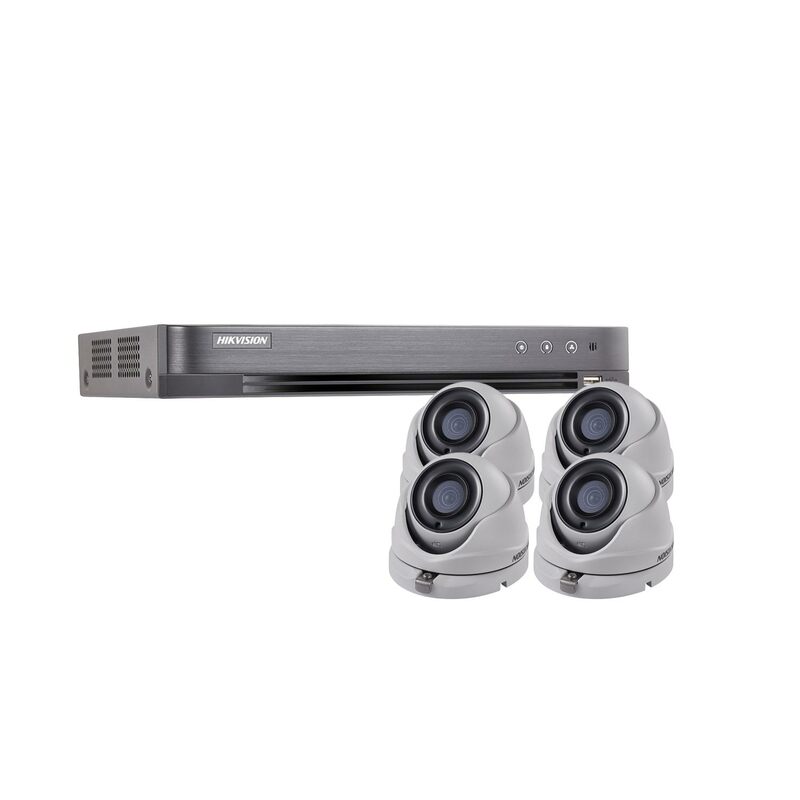 This gives customers the ability to see in very low light conditions and to use long distance transmissions over power cable. The Darkfighter ultra low light technology is already a leading function of Hikvision cameras, with the technology advancing all the time. Now it has been brought to the analogue range, giving even more customers the chance to benefit from clear, effective footage it gives in the lowest of light environments – even down to 0.005 lux. These camera have a great feature, Wide Dynamic Range (WDR), which means that it is able to monitor areas with both dark and light patches extremely effectively – a problem that cameras without WDR often face. It will make sure that the bright areas are not too saturated, and also that the dark areas aren’t too black, therefore providing crisp images throughout the whole picture. As well as the WDR, this camera also boasts IR night vision, meaning that it can see for up to 20 metres in complete darkness, thanks to the IR LEDs attached to it. These will automatically change the camera’s mode to night vision when the light drops to a certain level, meaning that monitoring continues in a seamless manner, even when the light is falling. The cameras also provide 1080P HD images in true colour during the day thanks to its IR Cut Removable (ICR) filter - which as the name suggests filters out any IR light - which can saturate colour - during day mode. 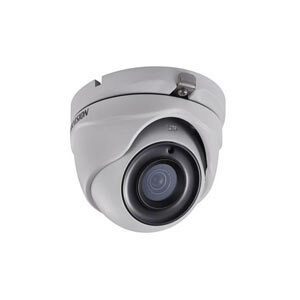 The cameras are nice and small and can be installed either indoors or outdoors, making them ideal for many installations. All of our Hikvision systems can be connected to your router and configured so you can remote view them over the internet from a PC / Mac or even your iPhone / Android. 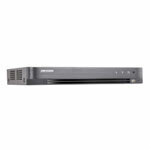 Apart from viewing your system over the network or internet, the DVR also has a VGA and HDMI output meaning you could connect a computer monitor (VGA) and / or HD TV (HDMI) directly to the DVR. If required, using the options above, you can add a HD or VGA Monitor to your system. Capture the evidence you need with crystal clear 2.1 Megapixel footage! A fixed lens of 2.8mm will give you an angle of view of 103.5° - perfect for wide coverage. The cameras are IP67 rated, meaning they are weather proof and can be installed indoors or outdoors.